Basing on Magento platform, Magecheckout makes a great effort to create an amazing checkout method - One Step Checkout extension instead of complex checkout default. This extension will arrange all checkout fields logically on only one page without the back and forth to load the next steps. Install it, customer’s unreasonable waiting is dropped to zero while you get an awesome result of boosting sales up to 60%. With simple checkout performance, Magento 2 One Step Checkout extension helps customers follow their carts easily through Billing Address, Shipping Address, Shipping Method, Payment Method and Order Review. All of them are shown clearly as possible and it is so convenient to checkout fast. Especially, One Step Checkout can work very well regardless of any devices such as laptop, tablet or mobile phone. Whatever devices your customers use to go shopping online will show full of data clearly for them to get information. 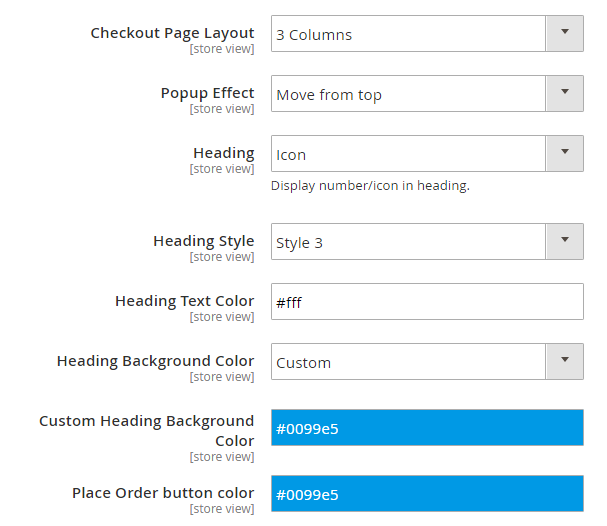 In addition, store admin has rights to design the number of columns (1, 2 or 3 columns) and the color of checkout page. It is flexible to customize how to make your store eye-catching. The checkout performance is the key-point to optimize conversion rate effectively. With Magento 2 One Step Checkout, your customers can change any information how to right for their needs instantly on the checkout page if they are considering such as either shipping method or payment method or quantity of products (add or subtract any item). The reloaded sections is configured by store owner. Why can it do that? Ajax Loading technology is supported for auto-updating and allow tracking whole checkout process instead of going back the previous steps. As usual, the address field is needed to type word by word but now, the clients will use Auto-Suggest Address functionality after entering some words. This is powered by Google Maps. However, there is an awesome tool when just by clicking on Smart Locator Button to find exactly the current position. The Smart Locator Button is designed exclusively by Magecheckout One Step Checkout M2 module. One Step Checkout supports more than 60 payment methods such as Credit Card, Credit Card Direct Post (Authorize.net), PayPal Credit, PayPal Express Checkout Payflow Edition, Check / Money order, Credit Card (Braintree), etc. Don’t hesitate to approach the more global audience, Magecheckout promise to solve your anxiety about Payment Method clearly. 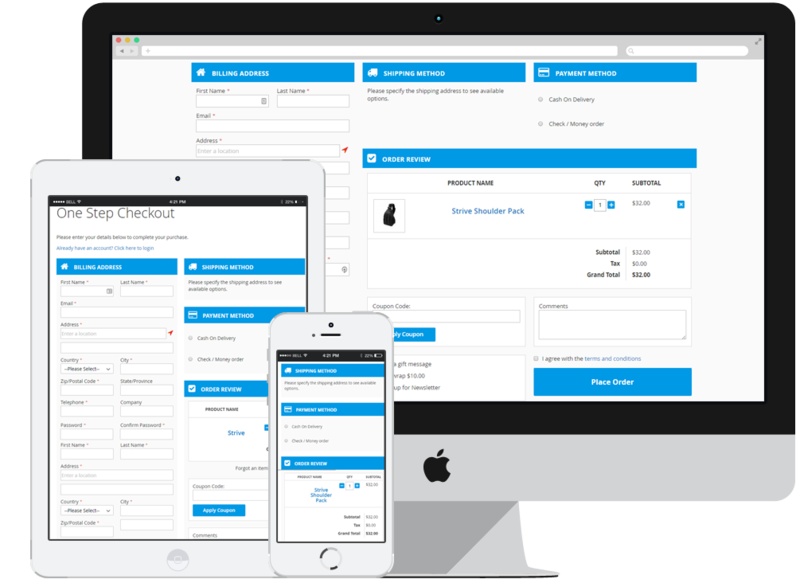 Apart from the sections, One Step Checkout provides another which have quite important role of optimizing customer’s satisfaction. Not only buy products for own but the customers can also make a little surprise if checkout via Magento 2 One Step Checkout extension. The gift will be sent to exact shipping address together with the meaningful wishes as they expect. 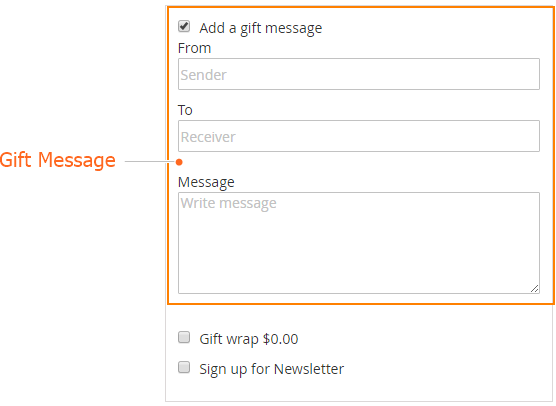 Magento 2 One Step Checkout surely makes the gift purchasing nicer when allowing customers to select Gift Wrap option right on the checkout page. 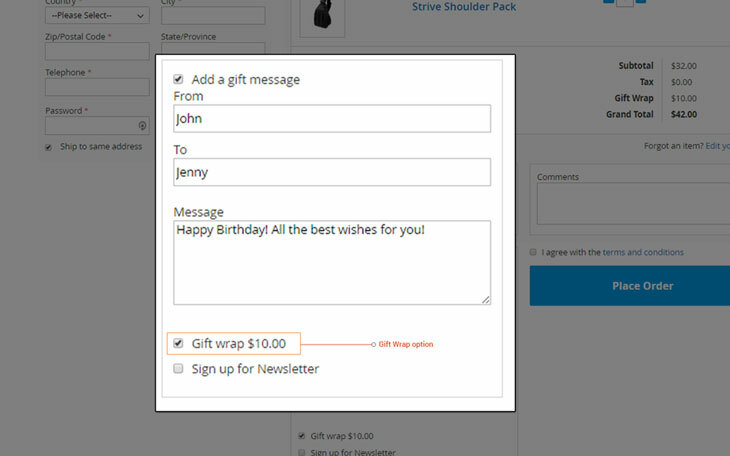 After that, the Gift Wrap fee is auto-added to the total paid of order on Order Review. Beside the payment in cash, the buyer can apply coupon code which is generated by store admin for online order at your store. This can be one of the most helpful tools to promote more and more purchases. 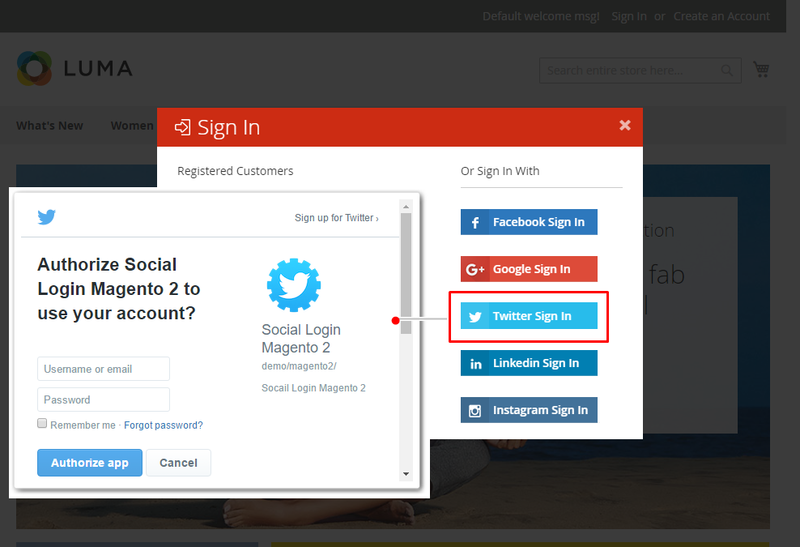 Magento 2 One Step Checkout also create a comment box where your customers will write other requests as delivery or wrapping product. 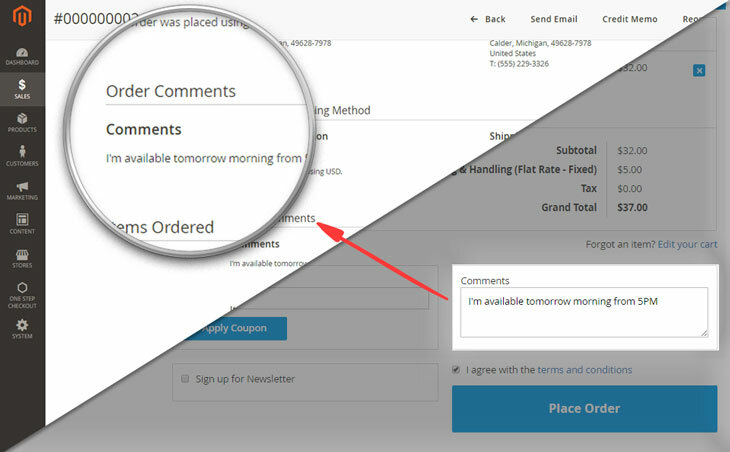 The comment box maybe a support tool so that you can communicate as well as satisfy the clients in the better way. Terms and Conditions gives more information about order when carrying out the checkout process on your store. 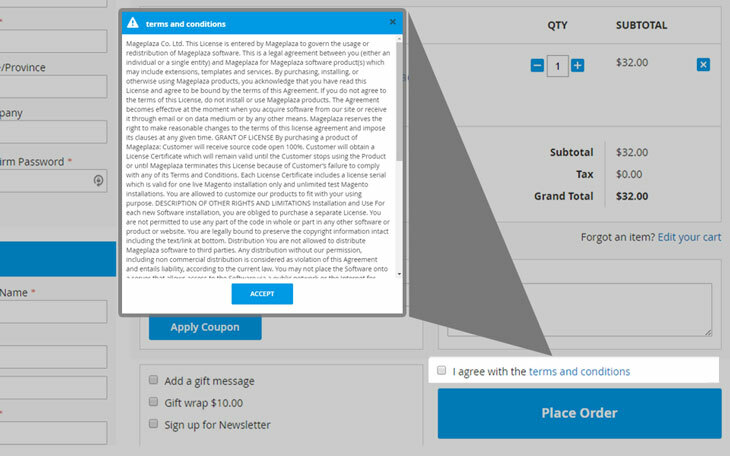 The TOS popup box will be displayed without navigation and the content can be asked for reading or not depending on your setting from Magento Admin. Q: Can I have a trial version for One Step Checkout? 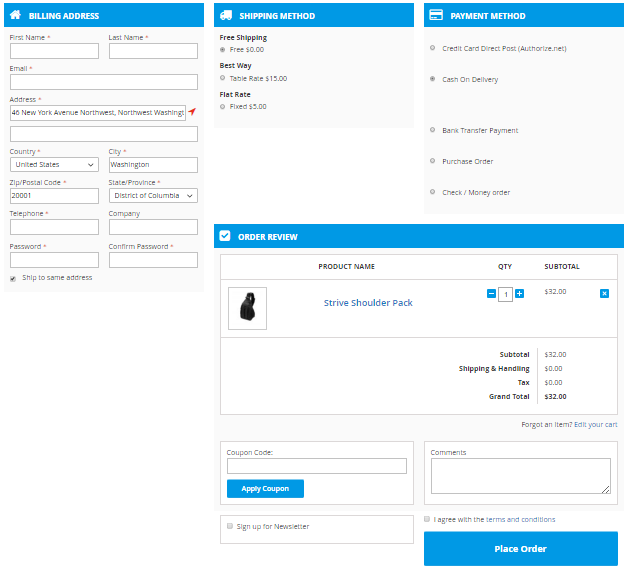 Q: What are the difference between Magecheckout OSC and others? We support multiple designs for multiple stores, you can choose 1, 2 or 3 columns layout option to fit with your store’s style. We support almost popular payment methods and shipping methods. MageCheckout be was created in accordance to latest responsive standards, flat design and works perfectly on all devices. This design works also perfectly on devices with Retina displays. Logo, icons or images are totally sharp and looks amazing. Additionally, we commit to support lifetime and update lifetime for your purchases that you have to pay one time for what you need only without any extra fee. With great features, reasonable price and friendly supporting system, we are convinced that Magecheckout OSC is best choice for you. Q: Can I install it myself? Yes, you absolutely can! You can install it like installing any extensions to website, follow our Installation Guide. Or you can purchase Installation Service option, our experts will install on your website and resolve any issue arise during installation. If you have any issue after installing, feel free to contact us at [email protected] or Help desk. Q: Which Payment methods/gateways OSC support? Q: How long do I get support and update? We offer Free lifetime support and update for any paid extensions. Q: What are your outstanding features comparing with others? The fastest checkout module. The most functions for checkout page. Compatible with most payment methods. Outstanding features and reasonable price. High quality of code, easy to custom. Update new features frequently. One-time payment and free lifetime support, update. Q: Can I install One Step Checkout on our test sites? Yes, definitely you can install on one live site and unlimited test sites. USA: 613 N Central Ave, Phoenix, Arizona, United States. BestOneStepCheckout. The Best Checkout Solution for Magento 2. 60-day money back, trusted by thousands merchants and developers around the world.